The Board, musicians and staff of the Melbourne Symphony Orchestra pay tribute to Dr Roger Riordan AM who passed away on Wednesday 2 January 2019. Roger was a long-term donor, subscriber and friend of the MSO. His philanthropic passion was providing opportunity for young people and disadvantaged members of the community. Through the charitable fund he established with his late wife Patricia, the Cybec Foundation, Roger focussed his support on education, the arts, the environment and providing development avenues for young people to follow their passion and achieve their full potential. In 2003, Roger established the MSO Cybec 21st Century Australian Composers Program at the MSO and the Cybec Young Composer in Residence; a pathway for young composers to be nurtured by the Orchestra and mentored by established Australian composers. Through this program, more than fifty aspiring composers from across Australia have had works commissioned and performed by the MSO. The 2019 Cybec Young Composer in Residence is Mark Holdsworth. 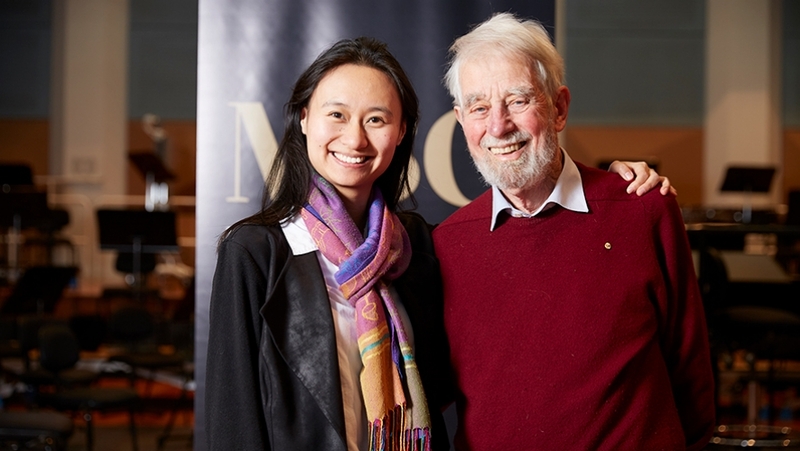 For many years Roger also generously funded the MSO Associate Conductor position (previously known as the Patricia Riordan Chair) currently held by Benjamin Northey and the Cybec Assistant Conductor, a two-year position held by Tianyi Lu. Ben was recently announced as Limelight Magazine’s People’s Choice for Australian Artist of the Year, an accolade we are sure would have pleased Roger. Roger will be missed by us all. He was a philanthropic leader: an engaged, generous and egalitarian contributor who made the world a better place. Our thoughts are with his family.